Clergy members are expected to not only make all of the right decisions, but also have all of the answers. Unethical behavior from a ministerial leader can have a ripple effect that seriously erodes the fabric of an entire congregation. Have your clergy and ministerial leaders reviewed their ethics training lately? 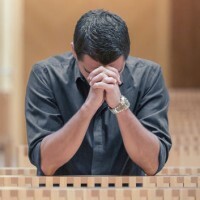 Many pastors and ministerial leaders do not have the opportunity or responsibility to review ethics once they leave seminary or other clergy education. CongregationU wants this course to fill in those gaps, providing users with a greater understanding of the ethical challenges of today and how they can navigate those tough situations. Call us at 866.862.5855 or click here to see a demo.